A Northern California district attorney has reversed course and says she will no longer consider plea deals to resolve the only criminal case filed in connection to a 2016 warehouse fire that killed 36 people, according to a court document obtained by The Associated Press on Thursday. Alameda County District Attorney Nancy O'Malley informed the judge presiding over the case that she now wants the two men charged in the case to face trial as soon as possible. Both men have been in jail since June 2017. Under terms of the deal, it was likely that Almena would have been released from prison by late 2022 or early 2023. Harris would have probably been released in 2021. But Cramer last Friday rejected the plea deal after listening to grieving relatives of victims testify for two days about their losses and their unhappiness with the proposed sentences, which they characterized as lenient. Cramer also said Almena failed to adequately express remorse. 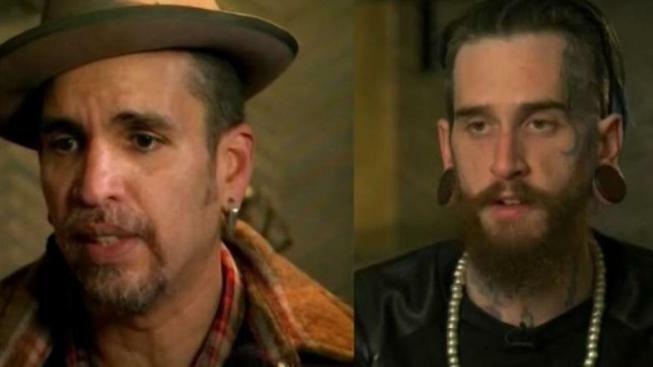 Almena rented the Oakland, California warehouse and illegally converted it into an underground live-work space for area artists and an entertainment venue called the Ghost Ship. Almena hired Harris to help manage the facility by collecting rent, booking concerts among other duties. "If you take anything out of context you can twist it around and make it seem like it was about me," he said. "This statement was about everything. I have been remorseful on this since the moment this happened." Harris' attorney, Tyler Smith, said hopes that Cramer will ultimately decide to sentence Harris to six years in prison despite the new objections raised by O'Malley, the district attorney, in her the letter to the judge. Getz said asking for a change of venue does comes with risks and the trial could be moved to a politically conservative court where the tattooed artists' appearance and opinions could negatively influence a jury. But Getz said it appears the defense has no alternative.